What is the Ideal Baseball League? If you have been following me at all you probably know about my thinking on player development, all-stars, playoffs, affiliated leagues with national playoffs. I sure don’t proclaim to have all the answers but I do know that player development is trumped by winning-at-all-costs, all-stars and national playoffs. Kyle Nelson, my colleague at Cornerstone Coaching Academy took a survey this past month from several dozen baseball contacts and experts in our LinkedIn groups. He asked us to give him feedback on what we thought was the way to go if we were start youth league baseball from scratch. If we had a chance to do a Re-Set button what would our baseball leagues look like? After explaining many ideas, procedures and recommendations Kyle left us with some consensus bullet points many of which I too have tried to shout out on my website, books, coaching clinics and videos. Here are his main points in which I believe make a lot of sense and a few suggestions mirror my thinking exactly...I guess I’m not alone or completely crazy. •	Board of directors cannot have players in the system. •	Eliminate All-Stars and give back those resources and playing time to all players. •	Move the season back, start it in Mid May and run through the summer months. •	Create a league where players are on different teams every time they show up. Make games more like pick-up and sandlot games and focus solely on player development. •	Hire independent evaluators to pick travel teams, and then hire coaches from an application process AFTER the teams are picked. 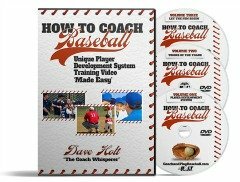 •	Utilize local high school and college coaches to help build a baseball community. •	Every player must play at least one inning in the outfield every game. •	Strict pitch count rules according to ASMI recommendations. •	Start with Wood Bat only. It comes down to two groups of thinkers. 2) the local player development minded people. Which way is in the best interest of the players? Which way follows the money, greed and the chance for fame? I think you know the answers. You can easily be tricked forecasting players 12 and under and their baseball prominence. Between age 13 and 18 a lot of stuff can happen. Most kids will hit their athletic ability ceiling early in post puberty and will not be able to play baseball well enough to be a starting or impact player in high school. Take caution in projecting kids pre-puberty and their athletic careers. SIDE NOTE: Take caution in spending big 'travel team' money pre-puberty.